Haba Frankindex numbers and quantities game – a monsterous game to assist in learning numbers and quantities. 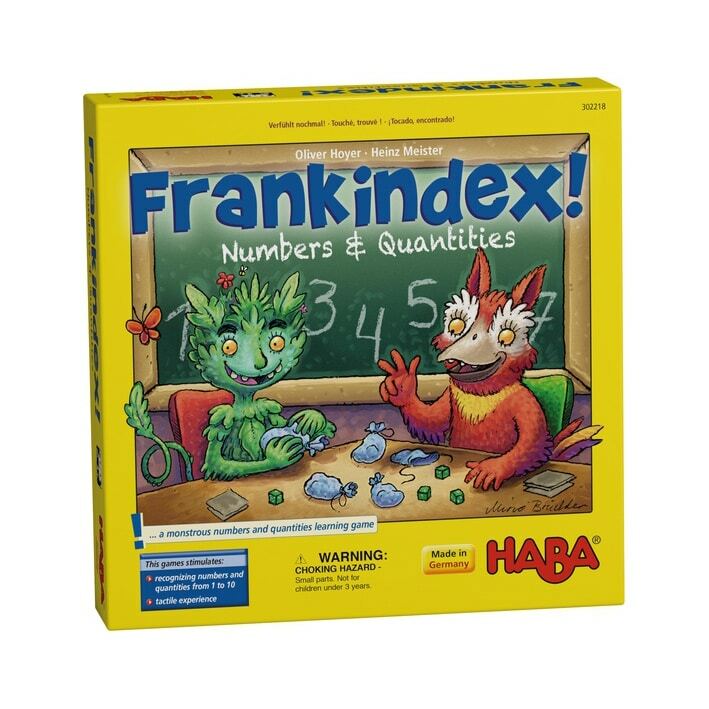 Professor Frankindex has given the monsters Zeropi and Decamo an impossible assignment; they must feel how many numbers are in the bag. But monster claws are much too big to recognize little objects. That’s why they desperately need your help! 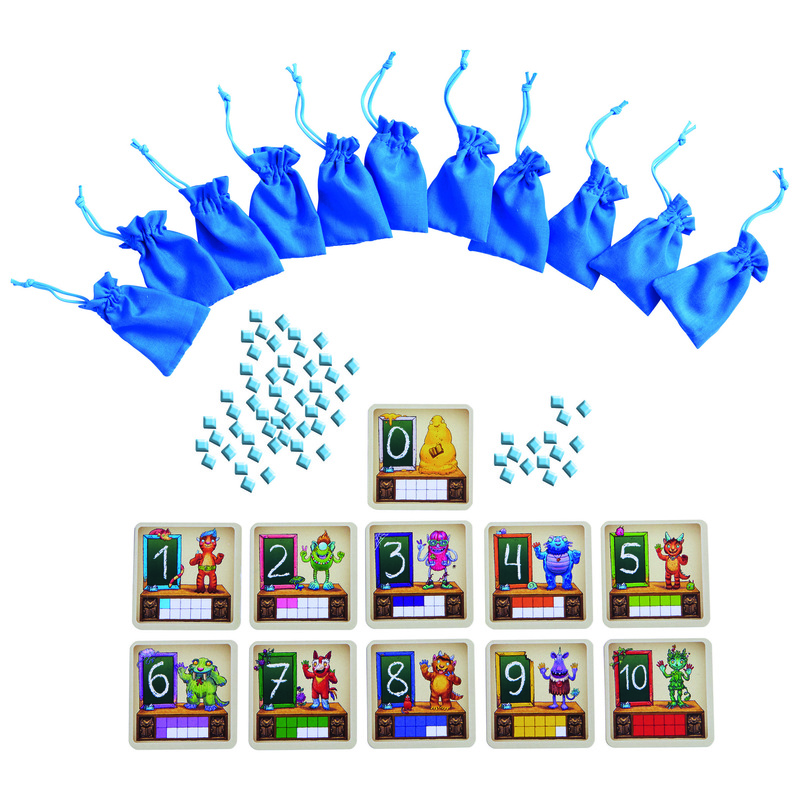 The players use their sense of touch to feel how many cubes are in each little bag. Who can whisper the correct eight or more numbers to Zeropi and Decamo? Contents: 55 number cubes and 11 tactile bags plus set of game instructions. 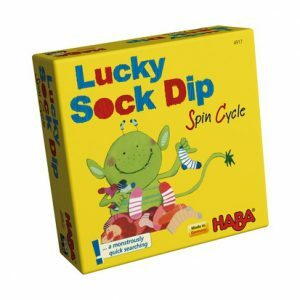 Recommended for 2 – 4 players (also includes instructions for individual play variation). 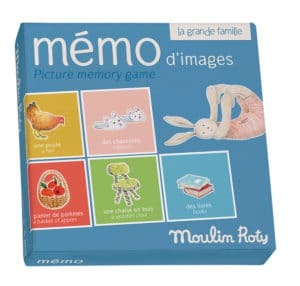 Approximate game time is 10 – 15 minutes. 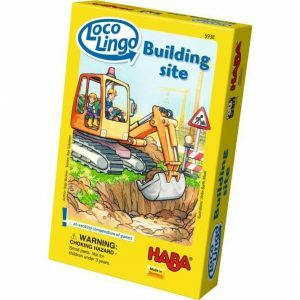 Great for developing basic cognitive and turn taking skills.